"Just wanted to thank you for the Tarot readings. who didn't walk out saying 'I can't believe how accurate my reading was." The bride to be has the opportunity to get together with all her closest friends and family and lives the night up with yummy food, drinks and playing fun games. 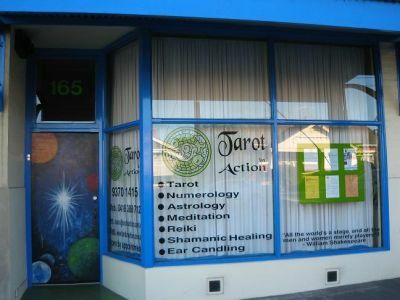 I have been priviledged to be invited to many Hens Nights over the years to do the Tarot readings. To have a Tarot reading at a Hens Night is a real lovely way to thank everyone for all their support of the bride during this special time. A Tarot reading is a totally uplifting and fun experience for all involved, especially at a Hens Night because they feel safer being all together, and they can further expore their readings with other. Over the years I have had the priviledge of being invited to so many special functions and I have met so many wonderful people, VIPs, awesome leaders, shakers and movers in our community. I actually get inspired when I do these special events which makes me want to go out and do more, I love my work, it is an honour for me to do this work! Like when I'm working 9 hours at the Mind Body Spirit Festivals everyone says to me 'you must get drained', in fact the opposite happens, this only proves to me that the Universe is abundant and that there is an abundant of energy out there to tap into.